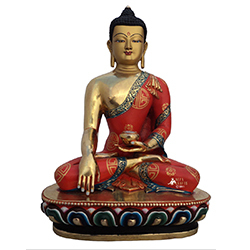 Since from the start, the company is involved in manufacturing and export of handmade traditional statue crafts. Lalitpur handicraft is located at Tabahal, Patan and has been in operaton for more than a decade. the company is soley owned by Mr. Sunil Bajracharya. The company is involved in manufacturing of tradiional metat statue and crafts of different god and goddesses. The company is mainly involved in direct export of its products to different foreign countries as well as within the country. Hand made statues with gold finishing. 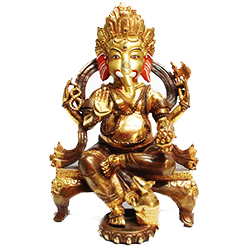 Religious Hindu god and goddesses statues with gold finishing.